OLD PARKED CARS. 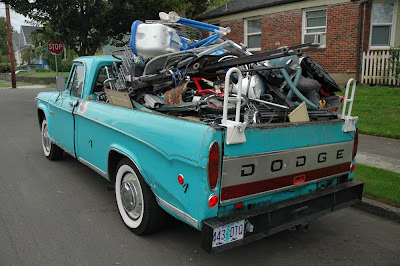 : Filled Past the Brim, 2 of 2: 1969 Dodge D200 Custom. Filled Past the Brim, 2 of 2: 1969 Dodge D200 Custom. 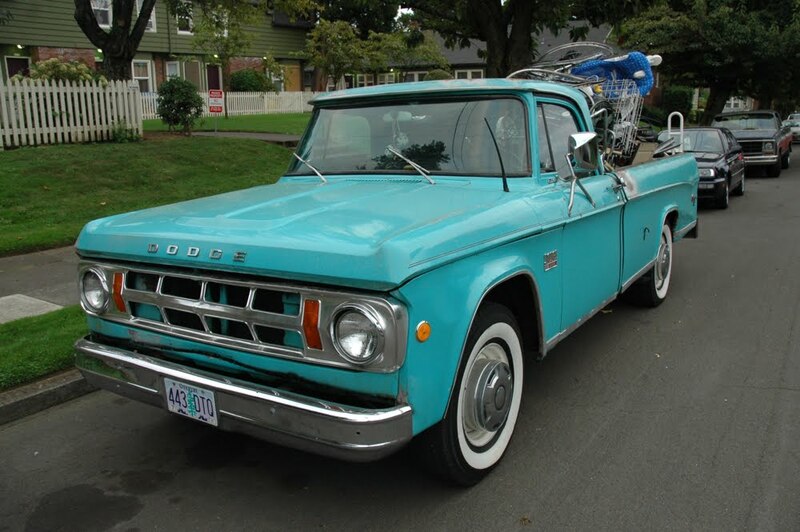 Love this old Dodge, getting a work out! 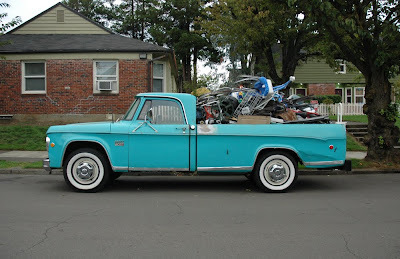 I was wondering if you had a chance, if you could email a picture of my Peugeot 504, I'd love to have a good pic of it. This is Brendan with, obviously, the 504 diesel sedan. great to see these old trucks being put to work instead of out to pasture. whitewalls are a little bright, but eh. and that tailgate is high-larious. @brendan: your car is up! i'll email you the full-res files. Gotta love the Ford centercaps.